In November 1947 the Jewish Settlement in Palestine, the Yishuv, achieved a diplomatic victory. The U.N. adopted the Resolution 181, dividing Palestine into the Jewish and the Arab state. Yet, as the security situation in Palestine worsened, it became clear that the Jewish state would need to achieve a military victory over its Arab enemies in order to survive. Whereas the Arab armies had access to British weapons and training, Yishuv’s armed forces were severely underequipped. The situation was complicated by the arms embargo imposed on Palestine by the U.N. Delivery of modern military equipment thus became one of the major tasks of the Jewish leadership in Palestine. David Ben Gurion sent an emissary to Europe to search for a possibility of a massive arms purchase. At this moment Czechoslovakia, known for its advanced military industry, came to the fore. Notwithstanding its political shift into the Soviet sphere of influence, the Czechoslovak political leadership was after the war supportive of the Zionist endeavor in Palestine. Yet, the independence of the Czechoslovak State in foreign policy became constrained. Czechoslovakia was not allowed to participate in the Marshall Plan and was in desperate need of foreign currency. For a brief moment in history, the Soviet Union was willing to support the Zionists in Palestine and therefore did not oppose the arms shipment. The Soviets envisaged that by adopting the socialist ideology, the newly created Jewish state would weaken the British dominance over the region. Moreover, by supporting the Jewish state, the Soviets hoped to deepen the political differences between the U.S. and Britain, two allies who disagreed over Palestine’s future. Since the end of the year 1947 till 1949, Czechoslovakia became the major arms supplier to the Yishuv/Israel. Jewish armed forces in Palestine obtained almost 35 thousand rifles, pistols, machine guns, mortars, ammunitions, bombs and other military equipment. Czechoslovakia also supplied to Israel 25 Avia S-199 Fighters, which were using design and parts of the German Messerschmitt Bf 109G, as well as the Spitfires. Four Avia S-199 Fighters performed its first combat mission in May 1948 when they attacked Egyptian military vehicles only 30 km south of Tel Aviv. The first air-force attack of the state of Israel caused a shock among Egyptians and enabled the Israeli army to take the initiative. Together with the arms shipment, Czechoslovakia provided on its soil a professional training for Israeli soldiers. In military courses, Czechoslovak specialists trained pilots, aircraft mechanics and ground personnel, as well as tank crews and paratroopers. Some of the attenders already served in the Israeli army (e.g. Ezer Weizman, who attended the pilot course), yet the majority of them were Jewish volunteers, many of them Holocaust survivors, from Czechoslovakia, Poland, Hungary, Bulgaria and other countries, who wanted to help the newly born Jewish state to win its War of Independence. Many Czechoslovak Jews who left for Israel after graduating from the military course decided never come back to Europe. During the WW II, most of them lost families and homes. And after the Communist coup in February 1948, which installed in Czechoslovakia a Stalinist-type dictatorship with strong anti-Semitic traits, these specialists had no desire to return to their original home. By turning back on these men, Czechoslovakia lost in them an incredible talent and potential. In Israel, the Czechoslovak pilots and technicians, who are presented in this photographic collection, contributed to the growth of a newly established state. Most of them became very successful in their professions, through which they helped to bolster Israel’s security, economy and science. After they left Europe, Israel became the place where they settled and built new homes. Avraham was born in 1925 in Pružany, a small city in Poland (today Belarus) close to the Russian border. In 1941, when Nazi Germany occupied eastern Poland, Avraham’s family was first placed in the ghetto and a year later sent to Auschwitz. His parents and older brother were murdered shortly after arrival. Avraham tried twice to escape from Auschwitz, but without success. At the end of the war, during a transfer from Buchenwald, Avraham managed to escape from the train, and shortly after reached Prague. A Czech family hid him and in May 1945 he joined the Prague Uprising. As an active participant in the battle, Avraham obtained a Czechoslovak citizenship. Meanwhile, his home city of Pružany became part of the Soviet Union, and Avraham decided to stay in Prague. He started to study at the Prague Technical University, where he was approached by Jewish emissaries from Haganah. He did not consider himself to be a Zionist, yet he decided to join the pilot course and to help the newly born Jewish state to survive. Due to personal reasons, he was transferred to the aircraft mechanic training course. He came to Israel in 1949, a year after the communist coup d’état in Czechoslovakia, and decided to stay in Israel. After he finished his service he left the army and founded a company Ariel, which specialized in electrical installations. Ariel became one of the most prominent companies in its field in Israel. It installed electricity on Ben Gurion Airport, Habima Theater, Weizmann Institute, and built traffic lights in Israel, as well as South Africa, Ethiopia, Uganda and Iran. In the beginning Ariel used the appliances made by different companies. Since 1970s it manufactured its own products, with exports to Europe, the USA, and Africa. As a successful businessman, Avraham obtained his own pilot license and even today, he flies his private plane. Yehuda was born in 1927 into a well-situated family, one of the founders of a flourishing textile industry in the city of Frýdek Místek, in the Moravian-Silesian region. In 1939 his family sent young Yehuda to Palestine, where he spent the war years with his uncle. After the war only his mother came back from Terezín; his father was murdered in Dachau. It took two years for Yehuda to earn enough money so he could return back to Czechoslovakia. He came back to Prague in 1947. Thanks to his relative, who lived in Switzerland, Yehuda was offered to go to study at a prestigious culinary school. At the same time, however, Yehuda started to work for the Palestine office in Prague, which recruited volunteers for pilot training. They were looking for young men who just recently came back from concentration camps. His mother was very upset about Yehuda’s job, complaining that the boys barely survived the war and yet again, they should put their life to risk. Yehuda promised his mother to look after the young recruits. However, he adds today with a sad voice, he could not do much to prevent the deaths of many of them during the training. Yehuda himself decided to give up the promising career of a cook and instead of moving to Switzerland, he took part the pilot course. In 1948 he returned to Israel and joined the Israeli air force. For the next decade he was a military air instructor. 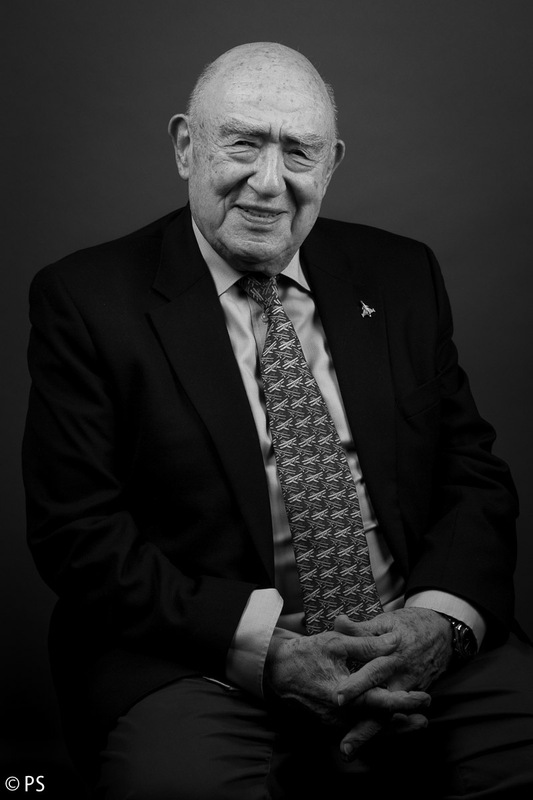 Later he became one of the first missile engineers in Israel and as a commander of the Israeli military program contributed to the building of this missile industry in Israel, which is today one of the world’s best. Zvi was born in 1929 in Carpathian Ruthenia, then eastern part of Czechoslovakia, which is today Ukraine. Zvi spent the war in Auschwitz, Buchenwald and other Nazi camps. At the end of war, he survived the death march. After the war Zvi did not return to his home town, which became part of the Soviet Union, but went instead to the city of Teplice in northern Bohemia, where he recovered from the war deprivation. In Teplice, he was approached by Jewish emissaries, who looked for Jewish volunteers to join the Czechoslovak brigade, a group of Czechoslovak Jewish volunteers, who would leave to Palestine/Israel after military training. At the same time, as the Jewish forces in Palestine lacked pilots, Zvi was offered to become a volunteer in the air force. 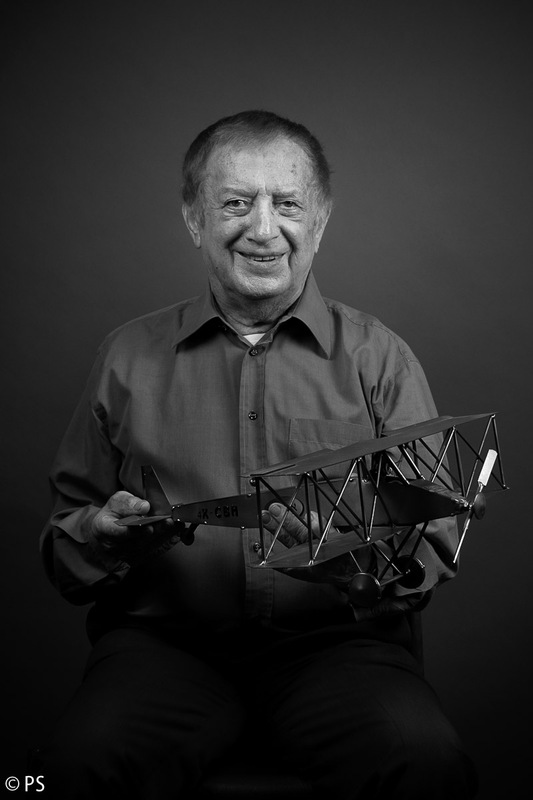 Zvi entered the pilot course in Olomouc and after graduating he arrived in Israel in 1949. In Israel, Zvi continued in his studies and was sent by the army to take technical courses at the Technion in Haifa. He also took an advanced pilot course, becoming a graduate of the first pilot course of the Israeli Air Force and obtaining the flying-wings from David Ben Gurion in 1950. He then became a pilot in the “101 Squadron”, the first fighter squadron of the Israeli Air-Force. During his military career, he became a flight instructor in the advanced flight courses, a commanding officer, a squadron leader and he retired from the service in the air force as a Major. After leaving the military, he became a civil pilot in Arkia Israeli airlines. At the age of 65 he retired from active flying and started to study philosophy and history at the Bar Ilan University. 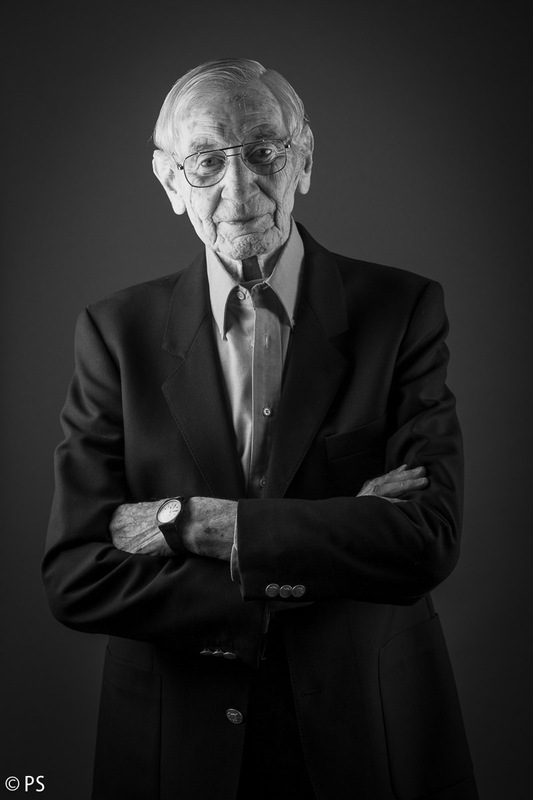 Born in 1922 in Polish Jasienica just across the borders from Czechoslovakia, Yehuda soon moved with his parents to the city of Český Těšín, which was a Czech-Polish city. After the Munich agreement in 1938, when Czechoslovakia had to give up a part of its territory, the Presser family tried to leave to Palestine, but it was already almost impossible for Jews to get visa. 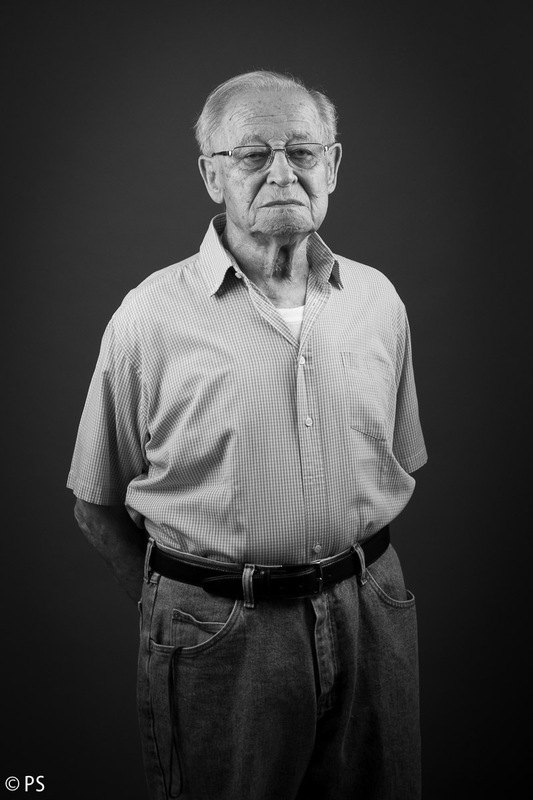 After Germany occupied Poland in September 1, 1939, Yehuda with his brother and father were interned in the concentration camp on the borders with the Soviet Union from which they managed to escape. However, they were not welcomed by the Soviets, who sent them together with other refugees to Gulag, the Soviet concentration camp, where the conditions were often the same as in the Nazi concentration camps. In 1941, after Germany attacked the Soviet Union, the diplomatic pressure to release Czechoslovak prisoners from gulags grew. Moreover, the Soviets agreed to the creation of a Czechoslovak military unit on the Soviet territory. Yehuda and his brother decided to join this unit. They almost lost their lives when traveling across the huge Soviet territory in order to reach this unit. Yehuda fought in the battle of Sokolovo and other major battles on the Eastern front. During the war he became a specialist in reconnaissance. After the war he worked for the Czechoslovak military counterintelligence. In 1948 the most important mission of his life started. Yehuda became an assistant to the Czechoslovak Ministry of National Defense Commissioner for Supplies to the State of Israel. He coordinated weapon deliveries from Czechoslovakia to Israel, as well as military training for pilots, parachutists and technicians. Since the Czechoslovak communist regime became increasingly Stalinist and anti-Semitic, Yehuda left in 1949 to Israel. In Israel he served as a police officer. Moshe was born in 1928 in Behynka in the Nitra district in Slovakia. As the Nazi Germany occupied Czechoslovakia in March 1939, Slovaks declared its independence and founded the Slovak State, a client state of Nazi Germany. Moshe was deported already in 1939 to Nisko, in Poland, in one of the first transports of Jews from Czechoslovakia. Together with his father, he ran away and ended up in Soviet Union. In 1942, at the age of 14, he joined the Czechoslovak military unit in Buzuluk, in the USSR, led by General Svoboda. He participated in many key battles on the Eastern Front till the liberation of Czechoslovakia. After the war, Moshe studied for two years at the technical school for aircraft mechanics in Liberec. He joined the group of Jewish volunteers and started to prepare for his departure to Palestine, which he reached illegally in 1947. 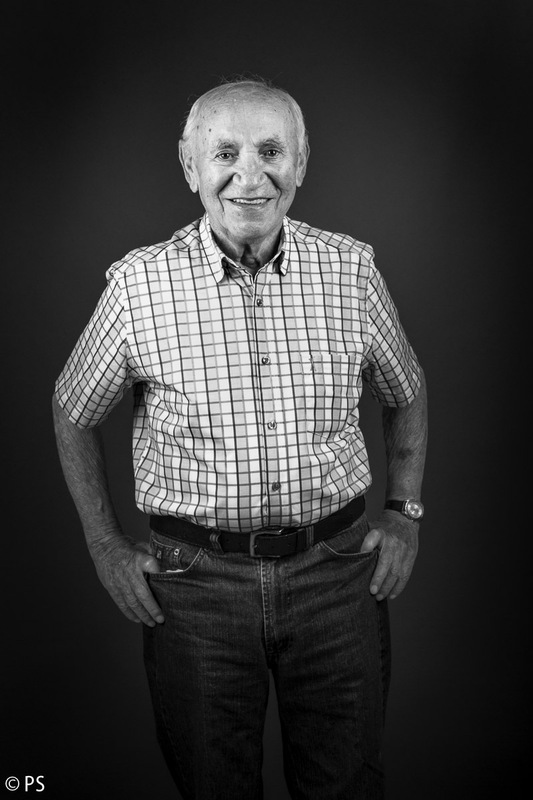 He was drafted into the IDF in May 1948 and as a professional aviation mechanic, he joined the air force. He served in a famous Israel’s first fighter “101 Squadron,” where he was working on Avia S-199 Fighters delivered to Israel from Czechoslovakia. To help to assemble those planes, Czechoslovakia sent to Israel its technicians and Moshe met again some of his colleagues from the technical school in Liberec. After he left the army, Moshe started to work for the Israel Aircraft Industry as a head of the department of aircraft mechanics. In the end of 1980s, he joined the commerce department at the Ministry of Defense. 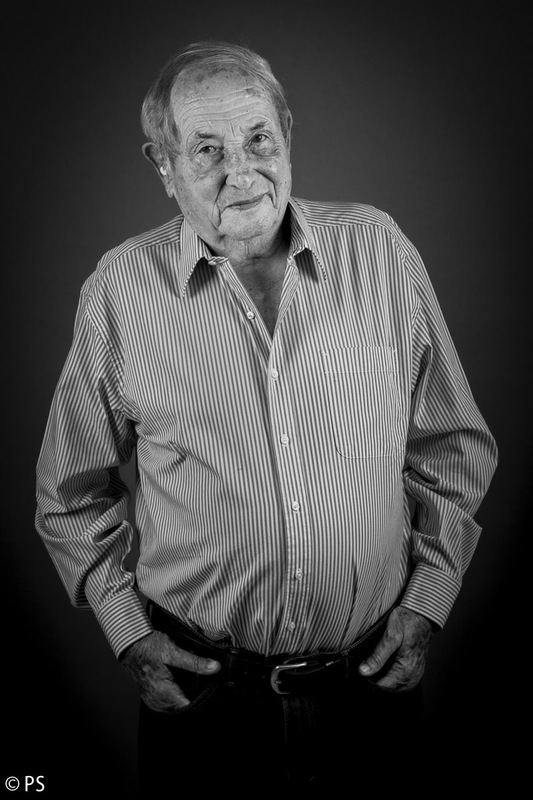 Rudolf was born in 1924 in Žilina in Slovakia. He survived the war in hiding. Rudolf returned to Slovakia in May 1945. After finishing his high school studies, he moved to Prague where he started his university studies at the Technical University. Few years later, he planned to leave for Palestine. Yet, before he left, Rudolf was approached by the Jewish emissaries, who offered him to study at the technical school for aircraft mechanics in Liberec. He joined a group of Jewish volunteers and went to study to Liberec. After coming to Israel, Rudolf he served in the army as a trained mechanic was responsible for pre-flight checks of planes and planes navigation. He became a specialist on inner supporting framework of airplanes, working both on Avia S-199 Fighters and Spitfires. 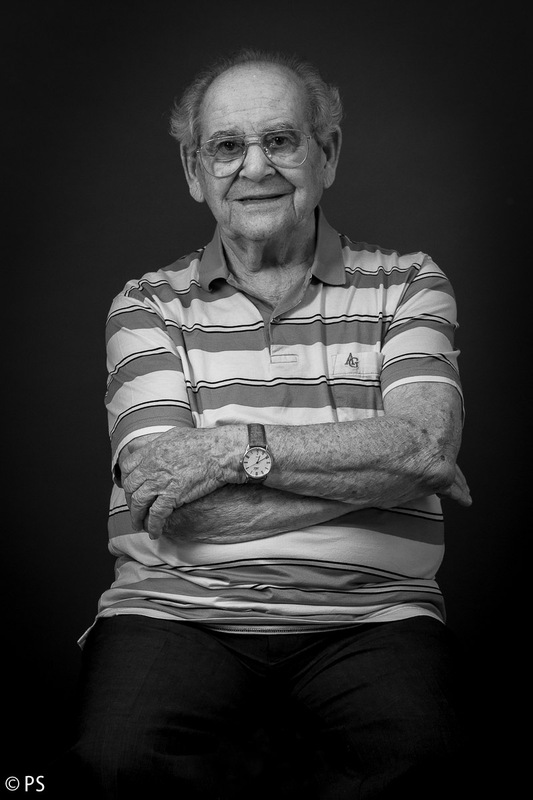 He left the army in 1950 and started to work in Herzliya as an architect. In 1960 he was offered a job in water company Mekorot and spent four years on project in Nigeria. His next jobs for other companies brought him to Uganda, Ivory Coast, Liberia and Greece. All his life, Rudolf was an enthusiastic skier, a hobby he pursued till recently. 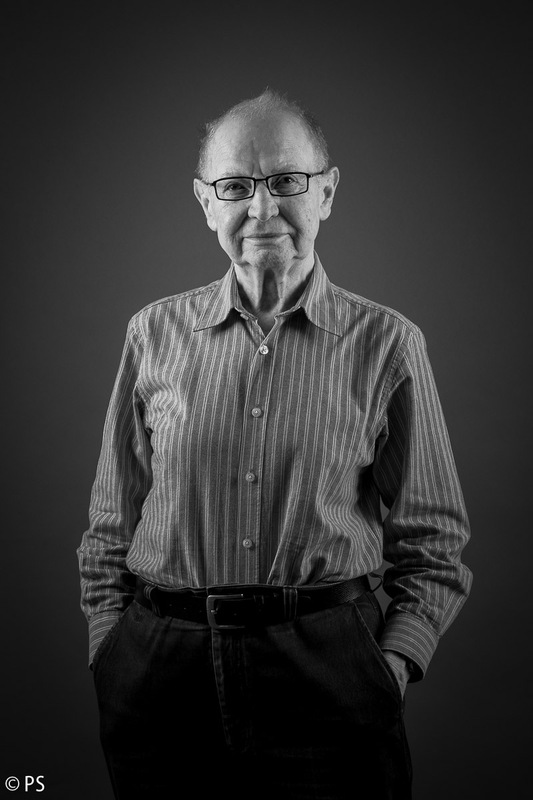 Shmuel was born in 1925 in Český Těšín, a city on the border between Czechoslovakia and Poland. His family was a traditional Jewish family and at home they spoke Czech, German, as well as Yiddish. After the Nazi occupation of Czechoslovakia in 1938, Shmuel and his mother left for Krakow to live with their relatives. When the war broke out Shmuel was sent to the ghetto in a Polish city Bedzin and later on to various concentration camps in Germany. After the war he returned to Czechoslovakia and started to study at a high school to become a blacksmith with specialization in engines. In 1948 he was approached by Jewish emissaries. His high blood pressure prevented him from enrolling in the pilot course, but he was offered studies in the aircraft mechanic training course in Liberec. 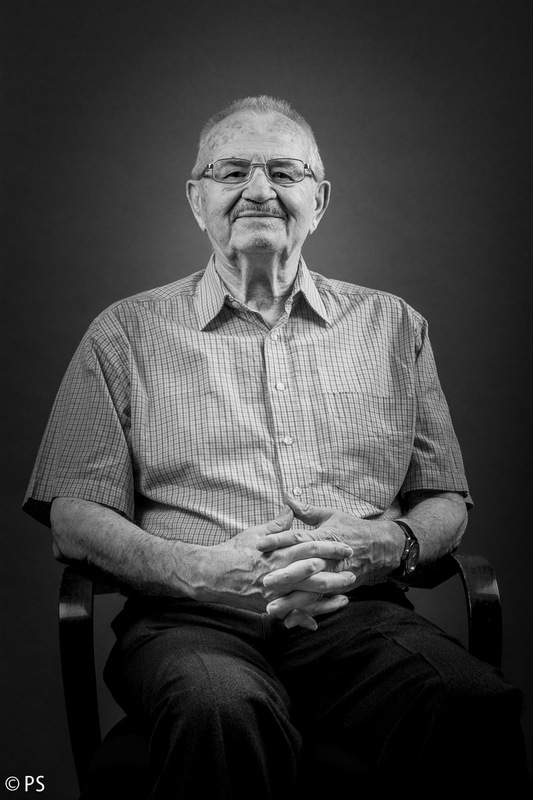 After he finished the six-month course, Shmuel left in 1949 to Israel and served the Israeli air force as a mechanic specializing in fighter jets. After the military service, Shmuel accepted an offer from EL-AL representatives, who were looking for specialists to join the newly founded Israeli national carrier. Shmuel worked for EL-AL in different positions for about 40 years. Peter was born in 1922 in Warsaw, but grew up in the Bohemian city of Teplice. After the Munich Agreement in 1938, Apfelbaum family moved to Prague and started to make preparation to leave Europe. With the outbreak of the war, part of the family was unable to get exit visas from Czechoslovakia and Peter’s own long journey started. He left for Poland and then he traveled, often while undertaking huge risks, through Bialystok, Vilnius, Moscow, and Vladivostok, finally reaching Japan in 1941. Peter obtained a transit visa to Japan thanks to a Japanese diplomat, the Consul in Kaunas. After traveling further to Shanghai, he registered to join the Czechoslovak army. Traveling to Singapore and South Africa, he reached Great Britain in 1942 where he started his military training. He chose to join the Royal Air Force. Notwithstanding his wish to be a pilot, Peter became a navigator thanks to his good knowledge of math, and till the end of the war participated in 49 flights. With the end of the war he returned to Prague, where he quickly advanced both in the air force as well as in the Communist hierarchy. Realizing in time that the Czechoslovak communist regime was becoming increasingly Stalinist and anti-Semitic, he decided to go back to Britain. He took over his father’s textile factory in London and very swiftly became a very successful businessman. In the peak of the Cold War he became a suspect of being involved with the communist Czechoslovak secret service. In 1953 he was deported from Britain to Israel, where he continued in his successful business career.